Posted on January 21, 2018 January 21, 2018 by Richard S.
Easy move is a company that helps you relocate to Kuwait stress-free and avoiding moving troubles. We bring you a complete guide with tips you should consider before relocating to Kuwait. You will learn how to move, and what to expect from this great country and how to get a visa. Our moving services fully cover Kuwait moving process. Kuwait is a very popular destination for many expats around the world. Many people come here to work and to find a job in the oil industry and financial sector. So, what exactly makes this country so popular for moving? You have no idea of what to expect? Our guide for relocating to Kuwait has all the details you need to know before you move to Kuwait. Relocating to Kuwait – what to expect from this country? Why is it so popular to relocate to Kuwait? Why do many people decide to move there? For those who are thinking about relocation to Kuwait, this country can offer you a high standard of living. It is also a great opportunity to learn more about Arab traditions and culture. Many people move here because this country offers economic prosperity and many expats can build a great career here. Almost everyone is attracted by the high salaries and no taxes to be paid. So, when you decide to find a job in Kuwait or to relocate your business with Business Movers Kuwait, this a great opportunity to have a great career and expat experience. The reason for Kuwait’s success is the oil industry. That’s why many expats move here, because of a great economy. Income from oil gives Kuwait the chance to invest in the public education system and development in all sectors. Many expats are relocating to Kuwait to find a job in the country’s oil industry. Kuwait has the financial sector that is rapidly growing and places for work in the marketing, sales, and other business structures. So, this Gulf country can give you a great job opportunity when you decide to move here. But, be aware that Kuwait government has plans to cut down the huge number of expats moving here. So, if you are still thinking about moving here, do it quickly, hiring quality moving services Kuwait. Don’t be afraid, with a degree in the right field and the work experience, you have an opportunity to find a dream job in Kuwait. In Kuwait the price of gas is low. So, driving in Kuwait is the main mode of transportation. Kuwait is a country surrounded by desert. So, keep in mind that in the summer temperatures go up to 50° C in the shade. But, these temperatures should not be a problem for you if you are not used to the heat when you use an air conditioning. Also, don’t forget to pack some warm clothes when you are moving to Kuwait, you will need it during the winter. Temperatures can drop to 0° C.
Islam is an important part of everyday culture and life in Kuwait. 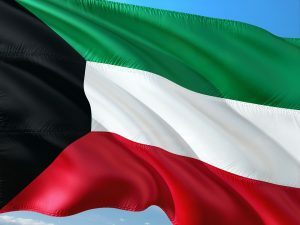 So, when you are relocating to Kuwait, you need to remember that you will hear the phrase Inshallah — if God wills it. You will hear it every day. Also, don’t forget that alcohol is illegal in Kuwait. But, in Kuwait, you can also see the influence of immigrants. So, you can see international cuisine and different clothes on Kuwait’s streets. Also, when you are relocating to Kuwait with kids here you can find and visit international schools. Reading international newspapers and watching television programs in English is a common thing. Also, when you live in Kuwait, you can buy your favorite international groceries. When you move to Kuwait you should respect Islamic traditions but in the same case, you can live in your own international way. Relocating to Kuwait also includes a quality healthcare. Kuwait provides free or low-cost high-quality healthcare to all its residents, including expats living in Kuwait. Medical facilities in Kuwait have great treatments in American and European standards. Remember if you have kids: all children must get a tuberculosis vaccine while living in Kuwait. All vaccinations are available in public clinics for free. 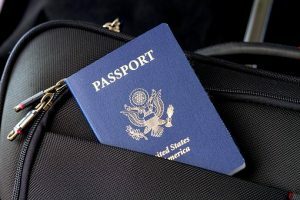 Everyone who is relocating to Kuwait needs to have a visa or entry permit. Of course, people from other states in the Gulf Cooperation Council don’t need to have a visa. They don’t need any formalities. The most visitors in Kuwait are sponsored by a Kuwaiti citizen or Kuwait company. So, their sponsors are responsible for them. When expat come for work, his sponsor is the employer in Kuwait. Visitors staying for a short time in Kuwait, with a visa can stay up to 30 days. If you stay longer you will pay 10 KWD per day, when you leave the country. You can visitor visas for Kuwait in two working days and currently, they cost 3 KWD. Before you move to Kuwait, check if the residents of your country need a visa before traveling to Kuwait. You can visit Embassy’s website for visa types to travel to Kuwait. But, remember: if you want to find a job in Kuwait, you cannot do it with a visitor visa. If you want to work here you have to obtain a work permit and a residency visa. If you want to move to Kuwait for a job, you need to have a residency visa. You can get it just if the private company or a Kuwait government organization gives the valid employment offer. 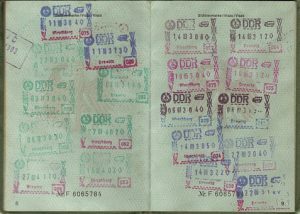 This type of visa is issued to expats with a family in Kuwait. When a family member gets a residency, he can be a sponsor to his wife and kids to come to live and work in Kuwait. This is possible just for expats who earn at least 650 KWD per month. When the family arrives in Kuwait, they need to undergo the same medical examinations. If you want more information about visas for Kuwait, it is the best to check Kuwait Ministry website. When you are planning to relocate to Kuwait, you need to plan your move. First, you need to make your moving checklist so you will know what tasks you need to accomplish before your moving day. Also, you need to know how to avoid Kuwait moving scams and how to prepare for packing and moving. 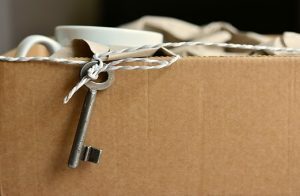 You should get or buy packing supplies and moving boxes for your Kuwait relocation. You can pack your stuff by yourself or you can consider hiring professionals for packing services. In this way, your moving process will be much easier when you have professional help. The most important part of your Kuwait relocation is how to find reliable moving company. In this way, you will be sure that your belongings are in good and safe hands. You don’t need to worry about transportation problems and damages. When you find a moving company, first check reviews online and contact movers to give you a moving estimate. With an estimate, you will exactly know your moving costs. If you want to find a home in Kuwait, you need to know what to expect. First, average Kuwaiti home is bigger than the US, it has much larger rooms. Big apartments in Kuwait have a maid’s room with separate bathroom. It is because Kuwaitis have a room for visitors and place where they socialize with their guests. At the moment, foreigners have restrictions on buying property in Kuwait. If you want to own a house or an apartment in Kuwait, you need to fulfill certain conditions. Before the law allows you to buy a house in Kuwait, you can rent it. There are many different types of rental homes in Kuwait. From one-bedroom apartments to single family homes, you can rent what you need. It depends on your needs. After you relocate to Kuwait, rent a home. 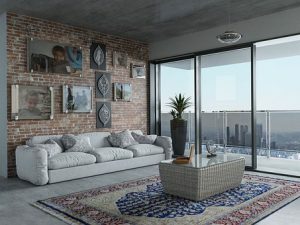 If you want to rent an apartment or house in Kuwait, you need to know how much money you will need. For example, a one-bedroom apartment you can rent for 660 USD or 1,700USD for a three-bedroom apartment. Of course, rental prices are always changing and it depends on the economy, location, size, and degree of luxury. When you are searching for a home in Kuwait, be careful and check what is included in the monthly rent. 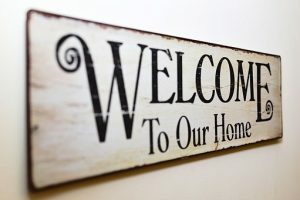 How to Find Your New Home in Kuwait? Ask work colleagues, friends, and other expats. Sometimes is the most reliable word of mouth when you are searching for your new home in Kuwait. Visit apartment buildings and ask about availability. When you hire movers for your Kuwait relocation you should give them a list of things you need to move. In this way, they will know how to pack and transport your goods. Especially when you need to move furniture, furniture movers know how to do it. Also, when it comes to breakables and valuables, professionals will know how to protect and move them. In this way relocating to Kuwait will be much easier and much less stressful. Also, you can ask your moving company about shipping your stuff to Kuwait. Keep in mind that all stuff you are shipping to Kuwait will be processed and checked by customs. So, you need professionals to tell you what you can import in this country and what is the expected transit time. When you arrive in Kuwait, your company will send someone to help you with the visa procedure. Also, you will need help with gathering your luggage and finding transportation to your new home. Don’t forget to buy SIM cards for your phone in the airport so you can communicate with your company and family. After you settle in your new Kuwait home, you can go to the best Kuwait’s restaurants to taste the best meals. And you can visit the best Kuwait attractions like Kuwait Towers, Doha Village, Failaka Island, etc. If you are moving with a pet to Kuwait you need to know how to conduct a pet relocation. 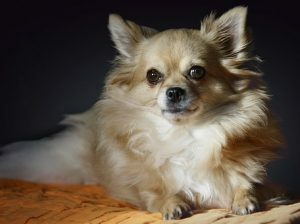 You need to obtain a few documents like Veterinary Health Certificate from your home country, and the letter from your new apartment company that they allow pets in the building. Also, when you arrive in Kuwait you will need to obtain other certificates, such as a certificate from a veterinarian in Kuwait, and pay some import fees. Don’t forget about temperatures in Kuwait. It can be very hot for your pet to relocate. So, it is the best to choose the coolest time of the year. And don’t worry, in Kuwait, you can find every service that you need for your pet, from grooming, pet stores, veterinarians, etc. You need to obtain few documents when you are relocating your pet to Kuwait. We hope that our guide for your Kuwait relocation will be helpful. 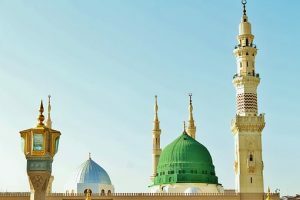 We tried to give you the best tips for packing, planning and understanding this exotic Gulf country. With our guide, you will know how to relocate and how to be prepared for this big change. Relocating to Kuwait can be easy, if you properly prpeare for it.